As you may know, School of Coaching Mastery occasionally raises money for charities. The inspiration for doing this came from the Center for Spiritual Living in St. Louis. I think it's time to raise funds for the Center! So I'm offering our signature 8-hour coach training program at the Center, Aug. 6 - 27, 7 - 9 PM for a minimum $25 contribution to the Center ($30 at the door) for the whole 8-hour program (or join our Coaching Superheroes by contributing $100). 100% of the proceeds goes to CSL. It's not for coaches only, although coaching professionals will love brushing up their coaching skills in this fun, live venue. We're calling it Mastery of Relationships, because the skills you'll learn can transform your relationships (not to mention your life), even if you don't coach professionally. On the other hand, coaching skills can enhance anything you do, so feel free to bring them into any profession you're in (or would like to be in - they can enhance your job interview skills, as well). As Jack Welch, legendary General Electric CEO, said: "People who are coaches will be the norm. Other people won't get promoted." Don't live close enough to St. Louis to attend? You probably know somebody who does, so please pass this post on via email, Twitter, Facebook or LinkedIn (all the links are above). Want to register for this one-time-only event? Go here to read more about this live coach training seminar and register for it. Coaches and Others: Lose Your Isolation. Here is just one that I thought I would share with you, because you'd probably love them, too. And even if you aren't in the market for their service, you might as well try it out, because it's free and trust me, you'll find cool ways to use it. As the owner of a "cutting edge" coaching school, I went on a mission last year to find the perfect way to share coach training. Something that would combine the intense experience of live training with the convenience and cost-savings of teleclasses. I knew there had to be something better than teleclasses. I was right, but it took a long time to find it. I explored every software out there from WebEx, to GoToMeeting, to InstantTeleseminar and a whole bunch you've never even heard of. You know what I found out? They are all expensive, clunky, sometimes hard to use and they almost always require participants to wait while the system downloads something to their computers, before they can even join the class. I don't know about you, but I'm pretty leery about downloading anything that I don't already understand and I hate to wait. My clients and students are the same way. I bet you are too. And I bet your friends, family, clients, customers and/or students are, too. Somebody finally answered my prayers (Thank you, Seth Godin, for pointing the way). Less than a year ago, I discovered a brand new company that had set their sights on turning the business of webinars upside down. Wish you could visit with family and friends, like they were in the room with you (smiling faces and all)? Do you wish you could watch your favorite videos with your faraway friends and chat and laugh like you were together? Do you ever have long-distance phone meetings where you're all trying to follow they same notes, contracts, reports, etc.? Do you ever wish you could stop driving/flying/training and spending time, money, fuel and what's left of the environment, just so you could do your work with others? In other words, if you could use this service for nothing, then why on Earth wouldn't you? The only reason I can think of is that you just don't know about it, yet. So I'm telling you: Get Dimdim. It's as close to perfect as it comes. You can meet freely. And easily. And do lots of cool stuff with the people you love, no matter where they are. Yes, you can do more if you pay something (An annual subscription is a fraction of what WebEx costs for one month), but for most people, the free account is all you'll ever need and it's not a free trial. It's free forever! And yes, Dimdim has offered to expand my service if I tell my friends about it, so that's my selfish reason for writing, but I already brag about Dimdim to everyone I know. So. As we get ready for the Certification Prep Intensive weekend that is coming up In NYC October 26-28, focus on the IAC Coaching Masteries is increasing, here at the School of Coaching Mastery (SCM). SCM is the first and only full-service coach training school that prepares coaches for the prestigious IAC Certified Coach designation with the IAC Coaching MasteriesTM. But that's not all SCM does. We're ready to roll out two new courses this Fall, "New Paradigms for Coaches" gets to the philosophy behind the coaching movement and "Intro to Spiral Dynamics Coaching" reveals the psychology behind people, values, culture and evolution. Great stuff! Still preparing coaches for IAC Certification, the only certification by an independent not-for-profit organization that is based primarily on the quality of the coach's coaching (The only thing that really matters to coaching clients), is what gives SCM it's underlying structure and inspiration. Nothing is more exciting and humbling than witnessing new coaches blossom into masterful coaches. Masterful coaches are changing the world. 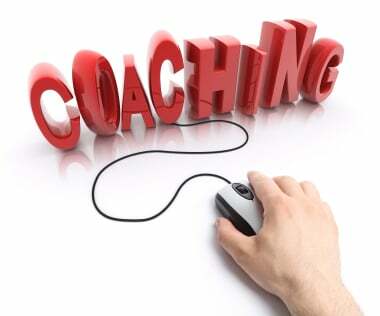 The IAC Coaching MasteriesTM are a higher level of coaching than is being taught almost any where else and what we've discovered, is that even new coaches can learn coaching at this higher level, when properly taught. No more struggling with mediocre skills that are hard to sell to a skeptical public. Coaches can learn what works quite quickly. That's great news for coaches and for the world! If you're in the NYC area and would like an introduction to the IAC Coaching MasteriesTM, join us October 25th, one day before the Certification Prep Intensive for the one-day Masteries Intro Intensive. Prepare with the most sophisticated coaching model in the world and then spend a 2 1/2 day weekend with Master Instructor Donna Steinhorn, IAC-CC and me (Julia Stewart, IAC-CC, President of the School of Coaching Mastery) to prepare two recordings for submission to the IAC for Certification. You leave this program with two recordings that are ready to pass the rigorous Certification process, or you'll know exactly what you need to work on.